Sunday night marked the 50th anniversary of The Beatles' first performance on The Ed Sullivan Show. CBS aired a tribute concert where some of the music industry's biggest stars covered their favorite Beatles tunes. 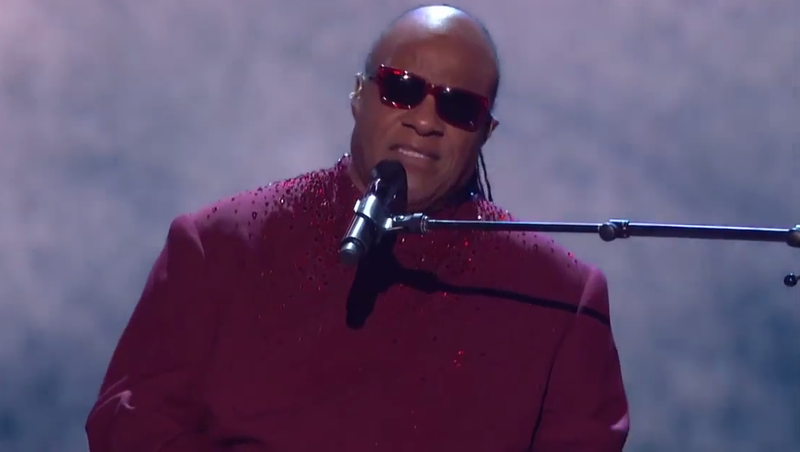 One highlight was Stevie Wonder's famous cover of "We Can Work It Out." Wonder released his version of the song on his 1970 album Signed, Sealed, and Delivered. In 1971, he released it as a single, which reached #13 on the Billboard Hot 100. Wonder made the song his own by including his signature funk keyboard. Watch the excerpt above. Also, check out Eurythmics’ cover of “Fool on the Hill,” and Dave Grohl and Jeff Lynne's cover of "Hey Bulldog." To catch the full performance, CBS will present an encore broadcast of THE BEATLES: THE NIGHT THAT CHANGED AMERICA – A GRAMMY® SALUTE, tonight, Feb. 12, at 8:30-11:00 PM, ET/PT. Check local listings. For Stevie Wonder’s latest music, and news, check out his Zumic artist page.